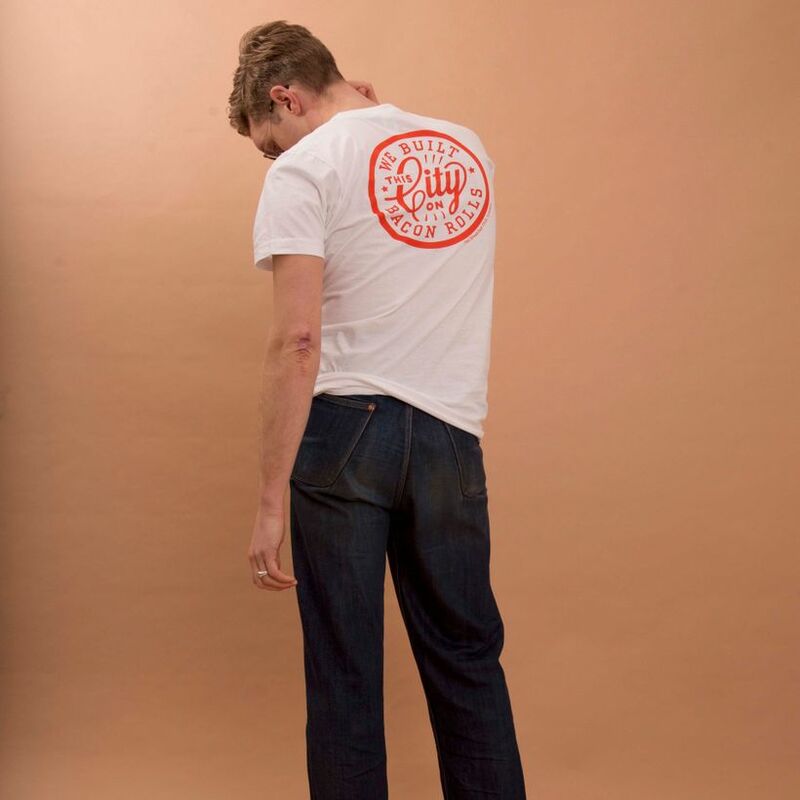 Designed by graphic artist Joshua Harris (who used to work in our Angel cafe!) 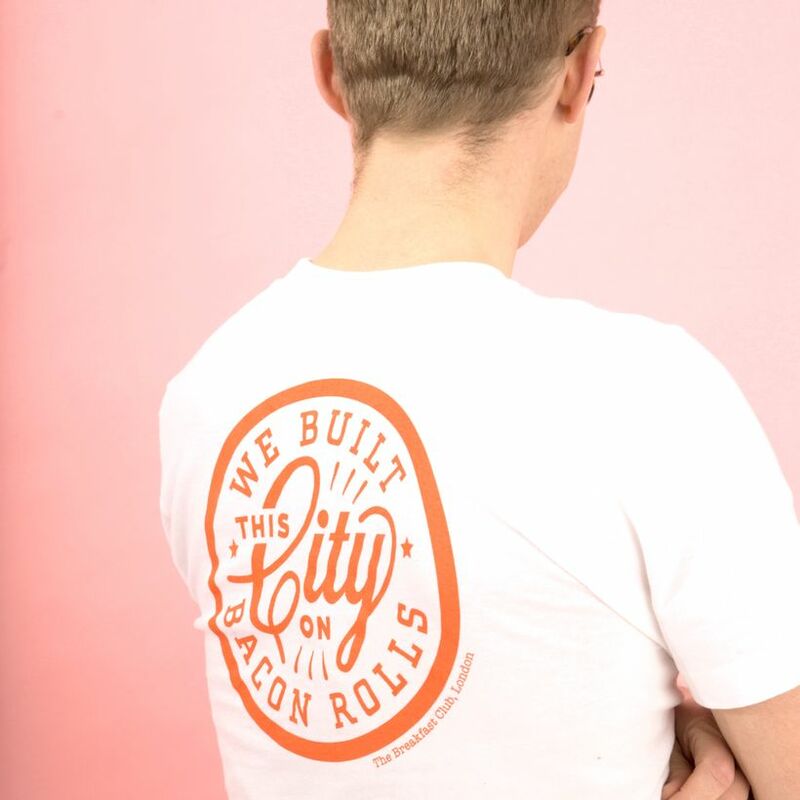 the ‘We Built This City on Bacon Rolls’ Tshirt features the logo on the front and back. 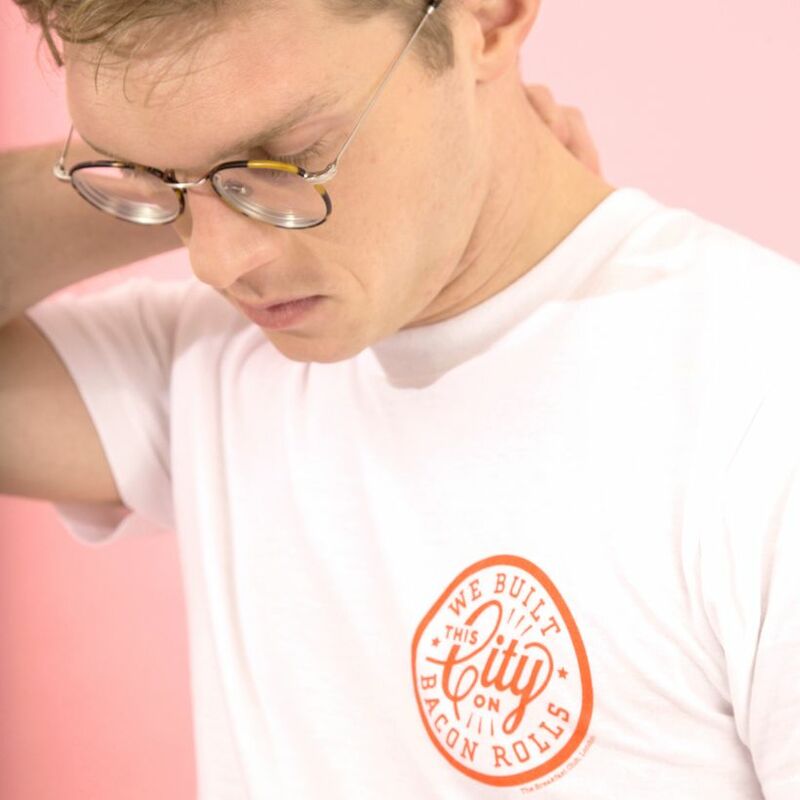 Money raised from the sale of our merchandise as well as £1.50 from the sale of every one of our Green juices goes towards funding charitable projects. Find out more here.